What is the difference between public and private schools in Australia? Are public or private schools better? Are private schools in Australia worth it? It is important to highlight that each family should judge all schools upon their merits and the fit for your circumstances and child’s needs, as your local public school may be just as ideal for your child as the top private school in the country. Make your decision from your own educational experiences, work commitments, school hours, proximity, student support services, religious beliefs, costs and other contingencies. Additionally, schools with supportive, active parents tend to have better reputations than those that do not. The Australian primary and secondary school system has primarily two options: private (higher-fee paying) or public (State funded). For families, the choice to study under either arrangement is one of cost and opportunity. Public school education is free to residents of Australia for those wishing to complete the minimum requirements. Schools will request a volunteer annual contribution from parents, the amount which is set by the principal in consultation with the school community and budget requirements. This payment isn’t compulsory but it greatly assists the school with its resources. In addition, parents are usually required to pay for textbooks, uniforms, disposable equipment, excursions, missing library books, meals and other extra-curricular activities. Many families are eligible for education assistance from The Dept of Human Services and should check with the Department for full information. Secondary schools will publicise their set fees per subject at the beginning of the semester but this varies according to each school and subject. Important note: NSW, temporary residents are charged unsubsidised fees. Private institutions request the payment of fees to attend. The government does provide a portion of funding to each school in addition to the tuition costs of each family. Each school sets its own fees and can vary from $2500 per year to more than $20,000. You will need to contact each school for a schedule of fees. Additional costs will include uniforms, excursions, extra-curricular activities, meals, textbooks, subject extras (such as technical) and library fines. The quality of teachers is similar between both systems. Each system has its own way of motivating the teachers and regardless of the school, some teachers will better relate to the children than others. Teachers from both public and private systems are paid comparable rates and are sourced from the same universities, so it comes down to the individual. It’s recommended to meet with the teachers of the school you’re interested in prior to enrolling. Please see point to the left. Public schools have fewer resources than private. Being dependent on government expenditure and funding guidelines means there is a limit to what each school can spend. Public schools still meet the needs of the students with working facilities, playgrounds, equipment and technology and have to meet educational criteria and occupational health and safety principles. However, these are updated less frequently and are often older technology. Strong economic management can also contribute to a public school having excellent resources as some institutions are better placed to utilise the finances and institutions given. What makes private education attractive to many families is the quality of teaching resources. Having higher incoming funding, the schools usually have more updated classrooms, facilities, equipment, technology and educational devices (such as laboratory apparatus). Schools may also offer a wider variety of excursions, sports, extra-curricular activities, events and educational opportunities (such as external competitions). A family with child/children enrolled in a private school should be aware that annual fees are often base rates and additional costs throughout the year will apply. Will only accept children from a designated catchment area. Some families will move into an area to get access to a certain school. Currently, public school curriculum is issued by each state and can vary. However, upon the rollout of the national curriculum in 2013-2015, the main four subjects of maths, science, English and history will have standardised content, meaning both public and private schools will teach from the same structure. Private schools have worked within educational guidelines for curriculum but have largely been independent of regulations. Private schools will have to adhere to the National Curriculum when its released, meaning public and private schools will be teaching from the same structure. Public schools are the better system to utilise if your child requires special education. The government provides extra funding to the school for aides and extra resources if certain criteria are met. Also, a public school is more likely to have a dedicated class for students who require extra attention. You will have to enquire at all the schools in your catchment to determine which has the resources to suit your child’s requirements. Private schools do have some support services for students with special needs but each institution is varied from strong support systems to an inability to cater for special needs students at all. It’s advisable to contact the individual school you’re interested in. In 2011, there were approximately 6700 government run schools in Australia and approximately 1800 non-government institutions. The majority of students in Australia attend State schools. Numbers are rising of the children attending independently-run schools, a trend which has continued consistently since 2001. This sector accounts for around one-third of all students. The ratio for students to teachers in both systems is very similar (around 15:1). Each school has class sizes according to school size and teacher numbers and needs to be assessed individually. Please see points to the left. There are some selective high schools in the public system, the majority in Sydney. Students are tested for entry. Some private schools do informal testing upon entry but their selectivity is more about high fees. There has been much debate over which system is the best for educating children. The general consensus is that independent/Catholic education provides a better rounded education because of higher-quality facilities and education resources. Whether public or private, each school can be excellent or struggling according to innumerable variables such as staff management, internal culture, teacher support, anti-bullying policies, financial administration, family involvement, location and socio-economic influences. Each family should analyse all schools available to them on what the child needs, rather than focus on system generalisations. Go to ‘Get Assessed’ at the top or bottom and in your own Client Area, receive personalised information from your assigned consultant. Mawson Lakes is a recently built suburb. It is designed for optimum convenience and is filled with new brick homes. The property prices are in the medium range and residents can choose between apartments, townhouses and stand-alone properties with yards. Public transport is adequate; however, most residents prefer to use cars. The people who live in Mawson Lakes are the full range of professionals, students (the University of South Australia is here), couples and families. What makes Mawson Lakes special is it’s been specifically designed and built with humans in mind. It contains everything a suburb needs: a community-oriented shopping plaza, running track, corporate buildings and plenty of recreational parks and open areas. If you like living in an organised space where everything works, this is the suburb for your family. Overall, this suburb is for those families who like the feel of planned living and ‘newness’. There are many people with English as a second language living here, giving it a community feel. North Adelaide is cosmopolitan. Established and old, the streets are leafy and wide, the architecture has a colonial feel and the housing ranges from small apartments to full-sized homes. Public transport is excellent, being so close to the city, but street parking can be tight. Property prices in North Adelaide can range greatly according to what type of property you’re looking for and residents are professionals, couples, families and artistic-types. North Adelaide stands out for its boutique shopping, cafes, 14 pubs, restaurants and assorted retail. There is a private hospital and the University of Adelaide is walking distance, so there is a large student population. Another of North Adelaide’s attributes are the city parks that surround the suburb so exercising and outdoor activities are easy to access. North Adelaide has a village feel. It’s a place of many different groupings that generally accept each other. If you’re the type who likes inner city living with a community character, this is the suburb for you. Athelstone is made for raising families. Located in the foothills of the Adelaide Hills, it boasts large, established blocks with generous homes and quiet, wide streets. 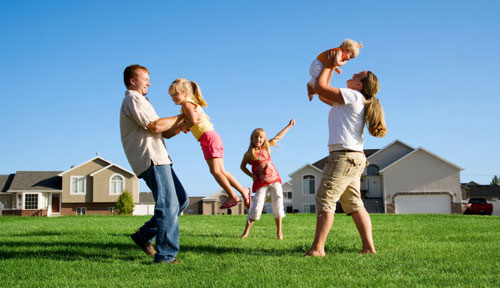 The property prices are reasonable and you can buy an existing house or build a home of your dreams on the new blocks. Public transport is adequate but most people prefer to drive. Families and retirees are most likely to live here. There is a small local shopping village for convenience and large shopping centres are only a short drive away. For outdoor activities, residents are boarded on all sides by the River Torrens, the Adelaide Hills, Wadmore Park and several other recreational parks. It’s a suburb that encourages health and well-being. This suburb an excellent choice for new migrant families to Australia. It’s only ten kilometres from the CBD but feels like a country town and it allows children space to run.